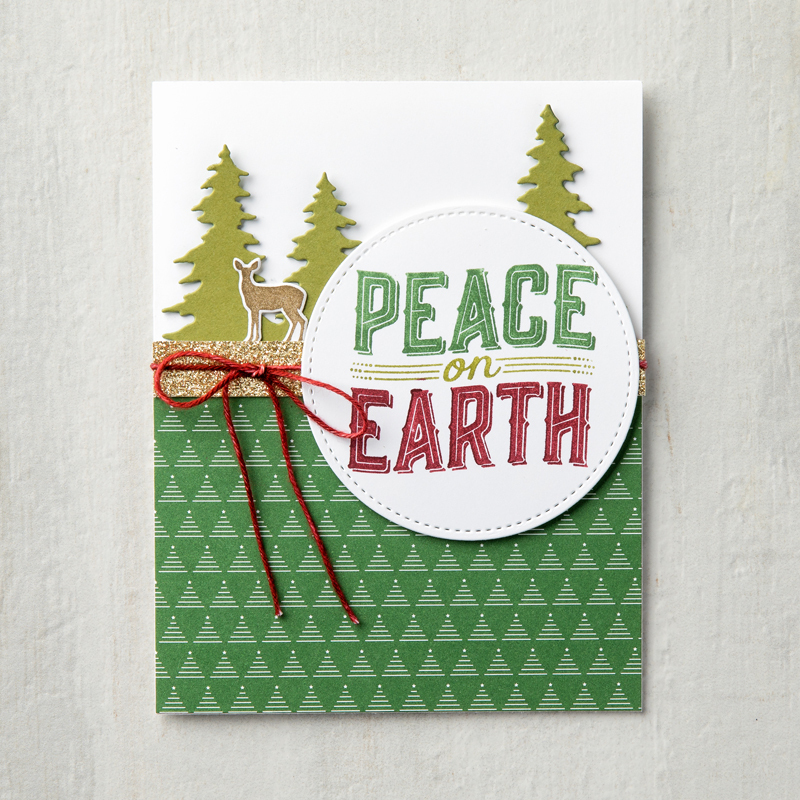 Today I’m going to share with you a card from our “Carols of Christmas” stamp set that will be available to our stampin’ friends as an early release on August 1st. Demonstrators have been able to pre-order this set since the 1st of July so we can prepare great samples / classes for you… mine is on it’s way! This is a perfect card when you want to step it up a bit with die cuts but not have to spend all day on one card. I would cut my trees and greeting out at the same time! The greeting itself is done simply by coloring the stamp with the colors you want and then stamp. A little strip of glimmer paper and a bow out of bakers twine and you’re done!! My initial “Carols of Christmas” Class has already filled but I would be happy to schedule a second class for those who are interested. Thanks for stopping in to see me today.